The Republic of Indonesia is one of the biggest countries in Southeast Asia, boasting an abundance of natural beauty, soaring volcanoes, spectacular rice terraces, and some of the best diving sites in the world. Indonesia is comprised of 17,508 islands, with its capital city, Jakarta, providing a home for 3% of the national population. Get quotes and information through our website regarding international movers to help you while you are moving to Indonesia and ensure you get the best services at the best price. It runs along the equator and naturally possesses a tropical climate with alternating monsoonal wet and dry seasons. It is, however, distinctly cooler in the highlands. Jakarta is the capital city and the largest in Indonesia. Its borders are shared with Papua New Guinea, East Timor, and Malaysia. There are around 300 ethnic groups all across the country, each with their own unique cultural identities developed over the centuries, and influenced by Indian, Arabic, Chinese, Malay, and European sources. Of the most distinct are the traditional Javanese and Balinese dances that are rich with Hindu influences. Textiles or fabrics printed with characteristic native designs are very popular across the regions. Architecture is primarily dominated by Indian influences. However, Chinese, Arab and European touches have been significant. The country has numerous related, but very distinct cultural and linguistic groups, many of which are ethnically Malay. Since their independence from Dutch colonialism, Bahasa Indonesia has spread throughout the archipelago and has become the national language and is widely used in written communication, education, government, business and media. There are many areas where native languages are still dominant. However, an expatriate will not find communicating with natives a problem as English is widely spoken in the locality. Indonesians are a mix of at least six different religious groupings, the majority of which are Islam, composing 86.1 %, followed by Protestantism - 5/7%, and Catholicism - 3%. 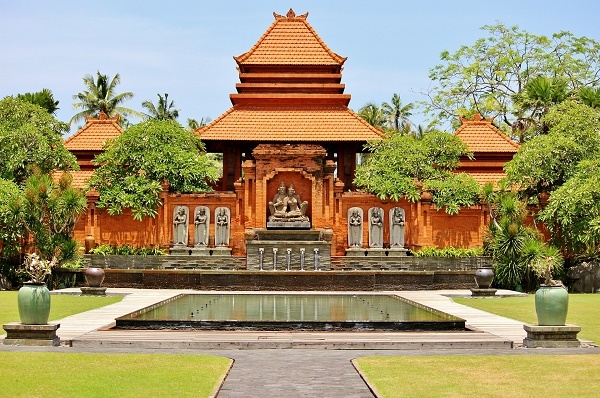 Traces of other religions such as Hinduism, Buddhism and Confucianism are still felt sparingly across the regions, although in the resort island of Bali, Hinduism rules while other areas sill practice animism. The sounds from the mosques mark the start and end of each day, calling believers to prayer. Don't be offended if the locals enquire about your bathing habits - many believe that you must take a shower before the last prayer of the day or the devil will steal your soul. With the affordable cost of living in Indonesia, it can be an ideal destination for expatriates. Indonesia is a beautiful country and anyone who seeks to make it a home will experience a culture that is unlike any other. Moving to Indonesia, the world's largest archipelago state is going to be a colorful adventure but there are things a foreigner may need to make for a smooth transition. A passport and other permits are given, but there are a few other considerations. Because Asians are typically small in physique, it is wise to enter Indonesia with a stock of clothes from home. It may take a while to find one's way into shops where larger sizes are available. Thick coats and jackets are also unneeded as Indonesia has a tropical weather. There will be many pharmacies in the country but one may find a shortage of highly specialized drugs. Thus, those taking maintenance medicines are advised to bring stocks from home. Dishwashers are unnecessary as house servants may do dishes and other household chores for a meager fee. Heavy-duty vacuum cleaners may also serve no purpose as most homes have tile flooring. If shipments are necessary, Indonesian law requires the shipper to present an original passport, an original residence permit (KITAS Card) issued by the immigration office and valid for 12 months, an original work permit (IMTA) issued by the Labor department, also valid for 12 months and an authorization letter from the shipper. Customs law allows for one air and one sea household goods shipment duty-free as long as shipment arrives no later than three months after the shipper's arrival in Indonesia. Beyond this period, dutiable goods may include audio and cassette recorders, antiques and food. In general, expats are advised to avoid large shipments as these can delay the clearance process and result in higher costs. After all, almost everything one needs will be in Indonesia and it just may take a while for the new expat to find everything. Indonesia is a vibrant and exotic nation nestled in the middle of the Indian and Pacific Ocean. 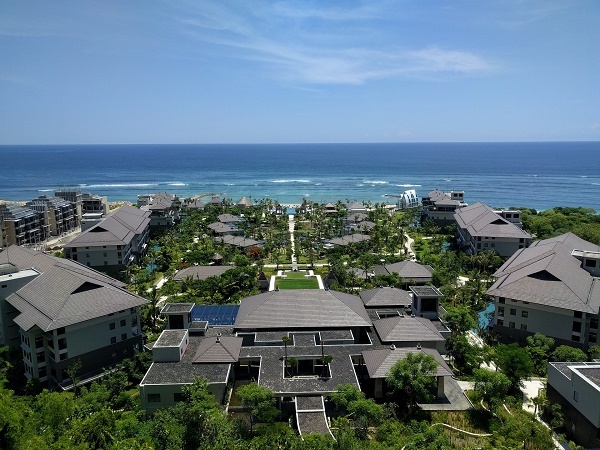 It is one of the fastest developing countries Southeast Asia that offers a wealth of jobs for expats who want to be part of its growth while learning the rich local culture. Indonesia is a vast archipelago that encompasses over 5,000 kilometres of ocean and more than 17,000 islands. Aside from its abundant natural resources, the versatility of the people is one of the major assets that draw expatriates to come and settle in this country. Indonesia has a highly diverse population of about 260 million, making it the fourth most populous country in the world. The largest archipelago in the world holds limitless wonders yet to be discovered, and expats who are about to live here will find themselves up to a quite exciting challenge. In Indonesia, beaches alone can present one too many options for kids to enjoy themselves. And they need not travel far to find a place where they can frolic in the water or build white sand castles in between banana boat races, snorkelling, scuba diving or swimming. In Jakarta, the Central Museum offers a great way for children to discover the art of puppetry through its regular puppet shows happening every fourth week of the month. Kids can also go trekking or camping in any of the archipelago's many parks, especially the Gunung Leuser National Park which is the largest and most exciting of its kind in the islands. Parents who would like to introduce their children to the beauty and value of nature can also bring the kids to the many zoos and wildlife centres scattered across the country. SeaWorld Indonesia, for example, is a perfect way to entertain and educate the little ones through a close encounter with marine animals. The food in Indonesia is one of the most sumptuous in Asia. Since this country has over 17,000 islands, foreign assignees can expect that the term ‘local food’ covers a variety of cuisines. The influences of this country’s cuisine primarily come from the eastern and central parts of Java Island. Many tourists and expats in this country can attest that one of the most common Indonesian foods served during break fast is the nasi goreng (brown fried rice served with sunny side up egg). Rice is one of the staples across the archipelago. Aside from the famous nasi goreng, other rice dishes include bubur (rice porridge), nasi kuning (a ceremonial dish made from yellow spiced rice wrapped in a cone) and nasi uduk (rice cooked in coconut milk and paired with fried chicken). Mie (noodles) is also popular in Indonesia and expats must try the bakmi (egg noodles served with various toppings) which is their local version of the Japanese Ramen. Those who are a bit adventurous when it comes to food should look for the Manadonese and Batak eateries which serve spicy dishes influenced by two ethnicities. The usual ingredients in these eateries are pork cooked in blood, wild boar and bat meat. Bahasa Indonesia is the sole, official language used in Indonesia. It is similar to Mayan which is spoken in Singapore, Brunei and Malaysia. Expats bound to this archipelago should know that a majority of the locals do not speak English mainly because of shyness. 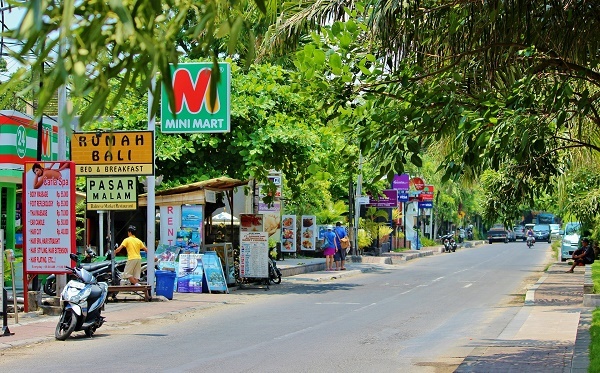 The most people that can speak the universal language can be found in main tourist cities such as Bali. Locals who work in hotels, banks, airlines and mobile customer service companies also speak an acceptable level of English. As an advice, foreign nationals should make an effort to learn Bahasa Indonesia so that they won't have a hard time interacting with the locals on a daily basis. What’s your name? - Siapa nama anda? My name is - Nama saya..
How much is this? - Berapa harganya? Generally speaking, Indonesians are warm and submissive people but they will not tolerate reckless questions or statements regarding their religion. They are also offended when touched or patted on the head which they consider to be sacred. And while they do not expect expats to adopt their culture, they are impressed with those who show interest and, most of all, respect.